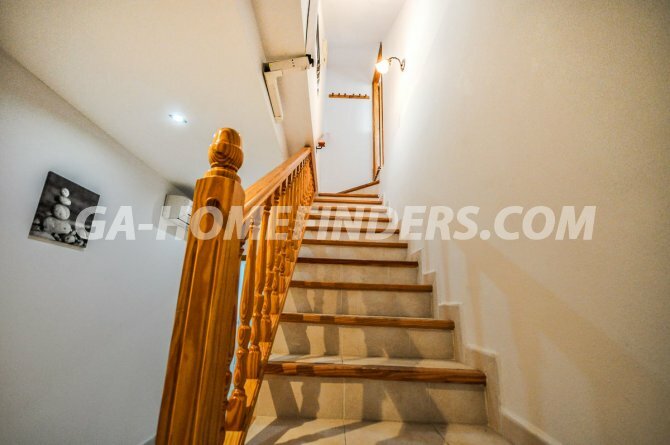 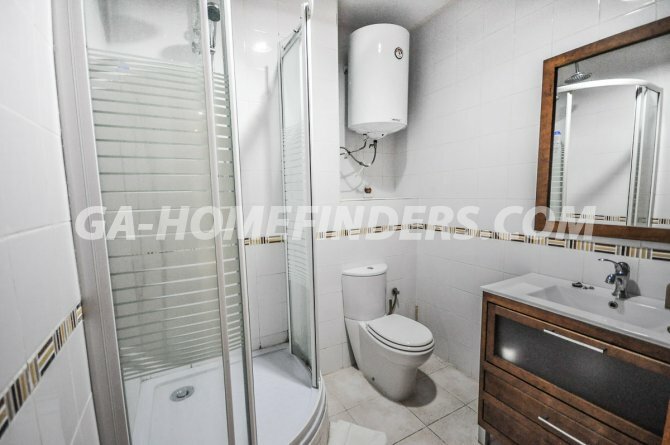 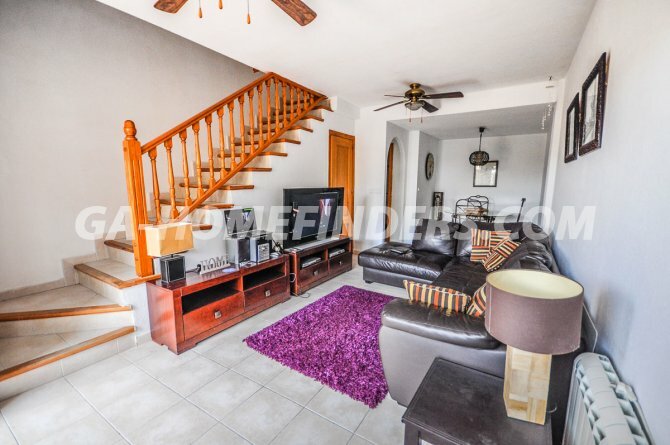 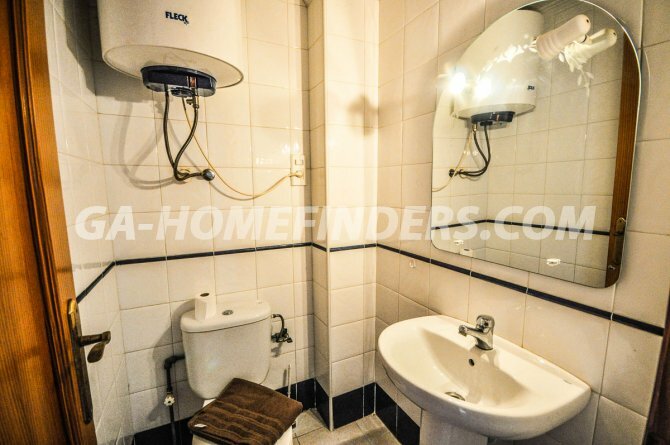 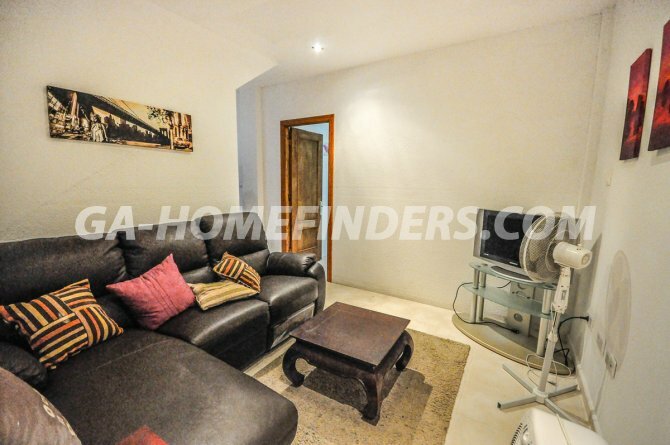 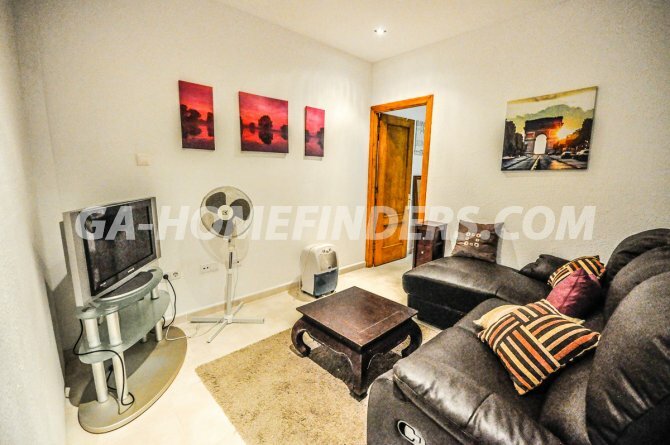 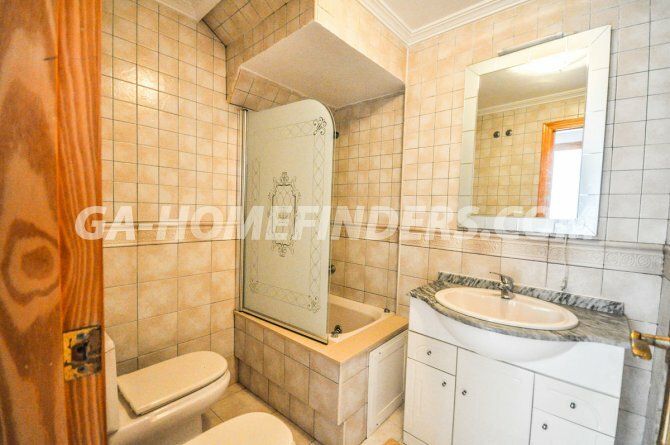 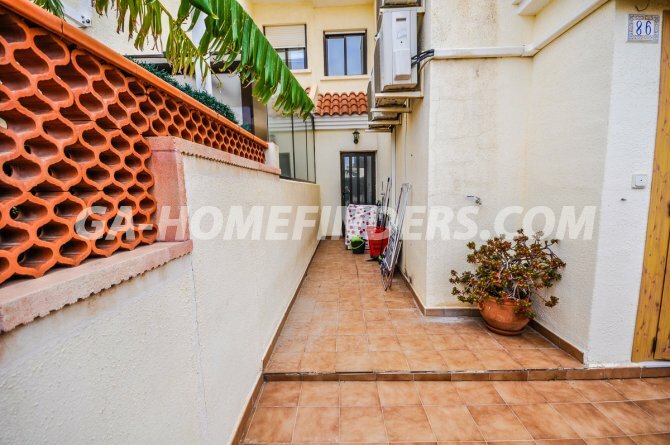 Furnished townhouse has quite large terrace at the entrance of the house, all windows have blinds and security grills, 5 bedrooms, 3 bathrooms and 1 toilet. 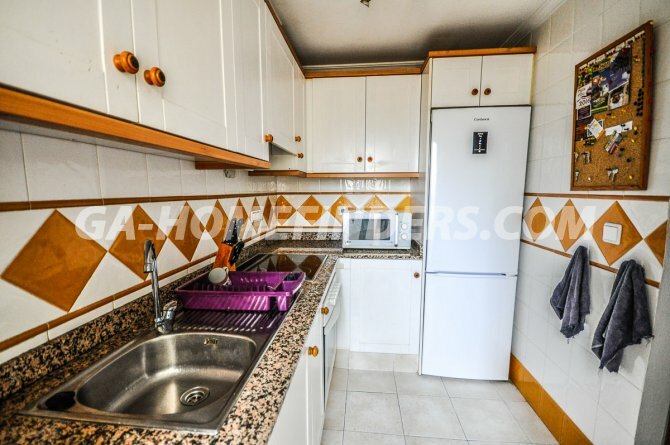 Separate kitchen with kitchen appliances, it has an enclosed gallery, a large basement with a living room, 1 bedroom and 1 bathroom. 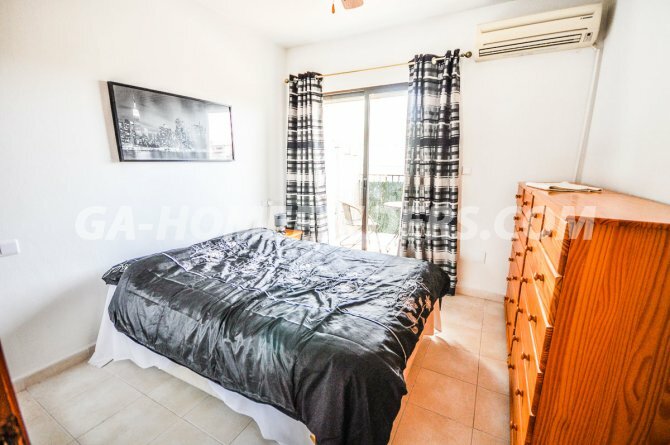 It has solarium, air conditioning in all parts of the house (hot and cold), has heating in the bedrooms, built in wardrobes. 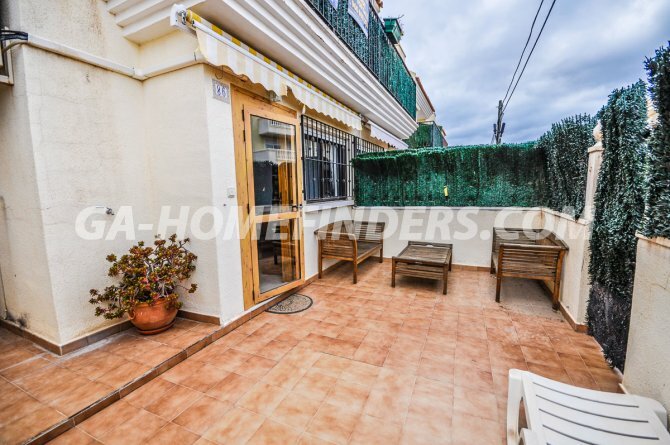 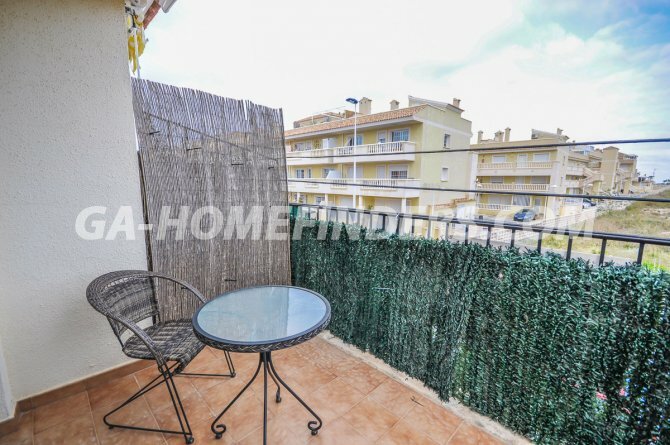 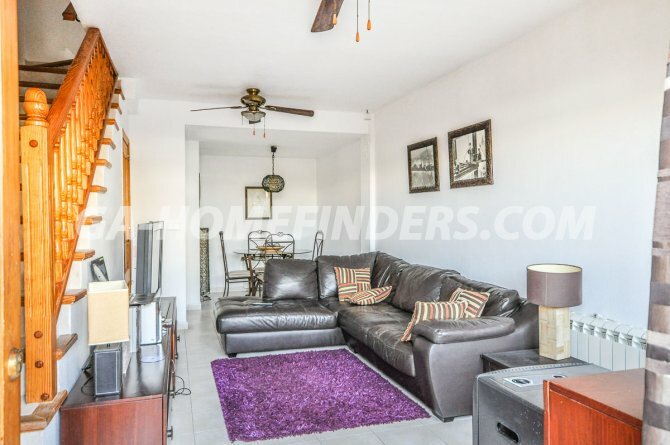 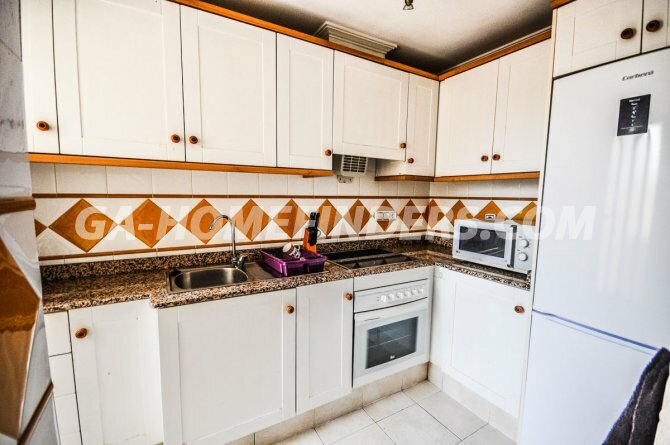 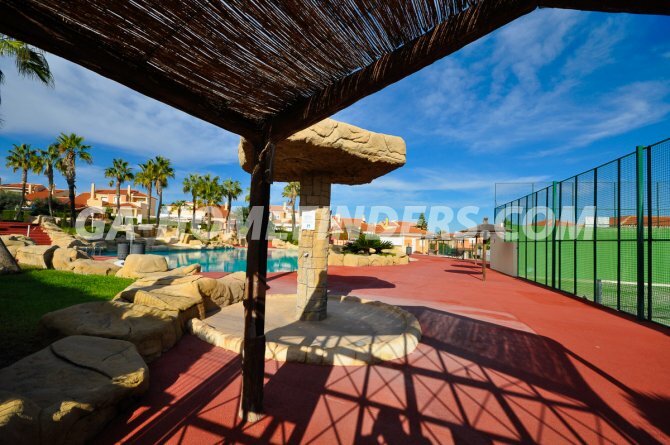 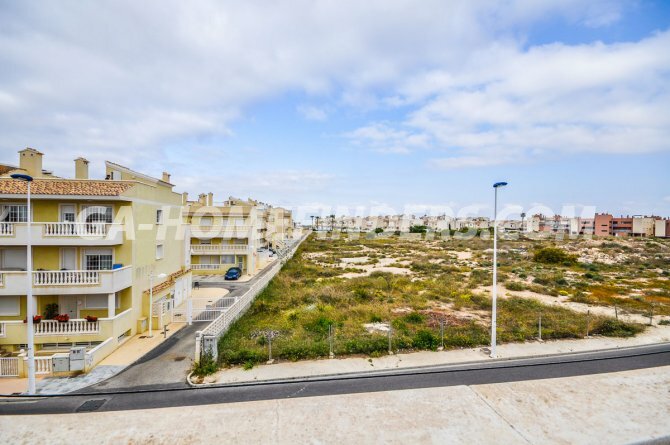 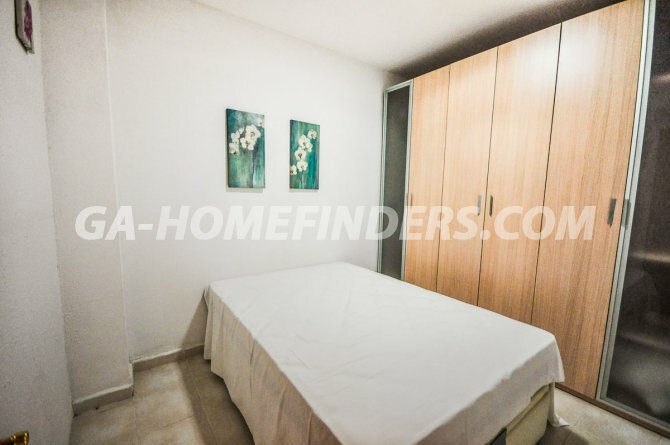 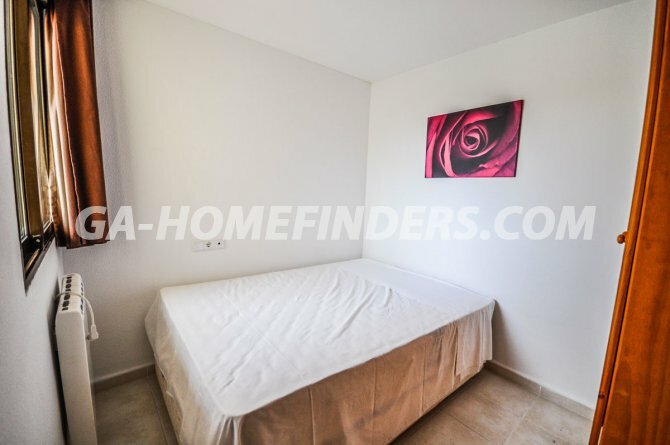 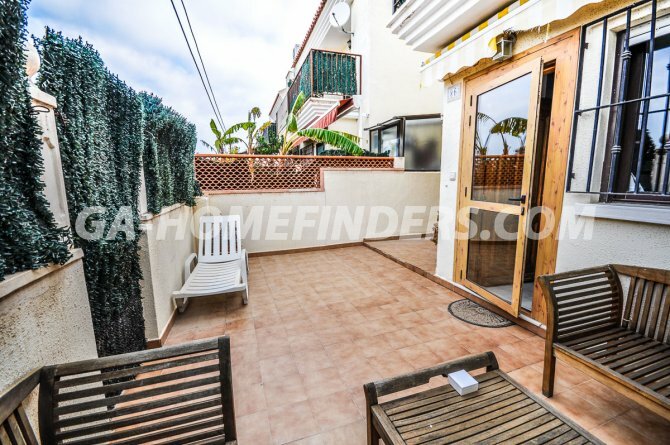 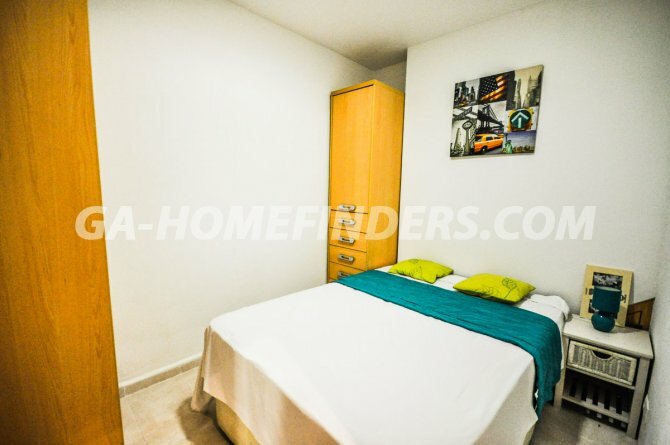 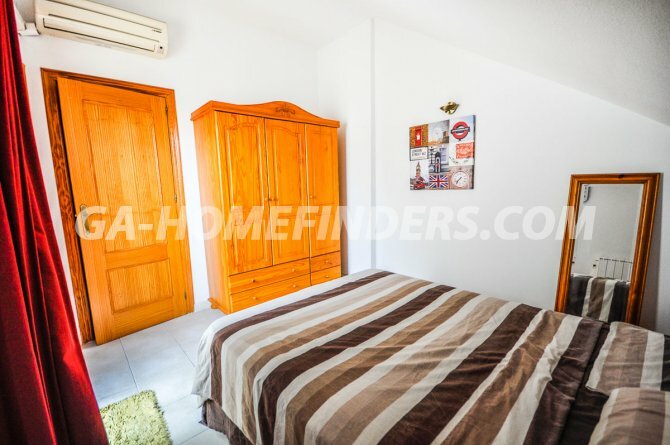 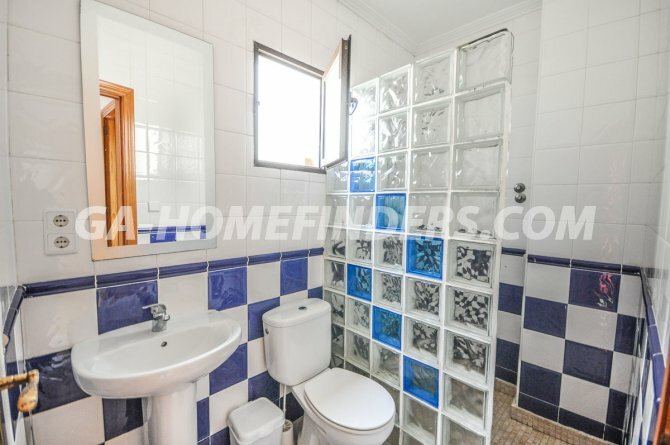 It is located in the upper part of Gran Alacant, in a very nice and well maintained urbanisation, it has several communal swimming pools with large green areas, tennis court ... 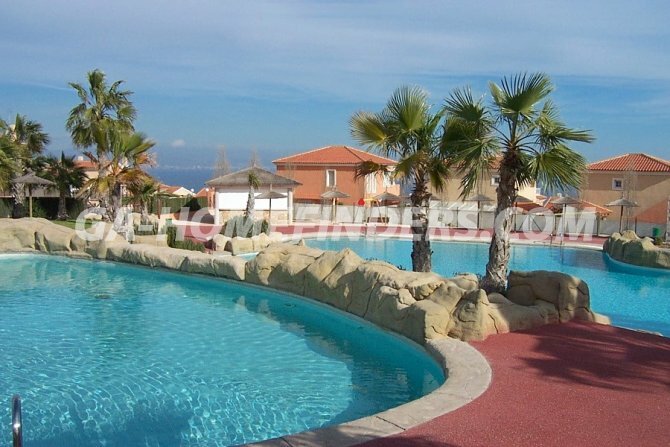 It is just 5 minutes drive from the beach of Carabassi.